Huntsville, AL – Individuals and Multidisciplinary Teams can now apply for scholarships to attend the 35th International Symposium on Child Abuse. The deadline for applications is November 28, 2018. Scholarships include admission to Symposium, continental breakfast, buffet lunch, refreshment breaks, hospitality and networking events, and transportation between official hotels and Symposium venues. Travel to Huntsville, Alabama and lodging are not included in the Symposium scholarship. MDTs may consist of up to five team members (Law Enforcement, Child Protective Services, District Attorney and two other team members). Only one member of the team needs to complete the application. The MDT Point of Contact will provide information about each team member during the application process. The International Symposium on Child Abuse is the premiere conference for professionals in the child maltreatment field. The conference provides expert training and networking opportunities. 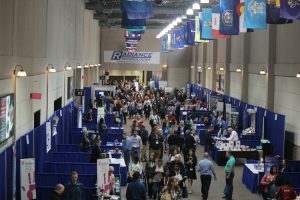 More than 1,300 professionals attended the conference in 2018. The 35th International Symposium on Child Abuse is March 18-21, 2019 at the Von Braun Center in Huntsville, AL. This conference includes more than 160 workshops and 12 tracks. Applicants and the MDT Point of Contact will be notified by December 14, 2018 via email whether or not they have received a scholarship.